My awareness of Beatrice dates to when one of my sisters gave me Beatrice’s “The Immaculate Conception, Our Original Face” (Cross Currents, 1989). This article filled a need I had at the time, and I subsequently read as much of her prolific writing as time allowed. Because my religious congregation (Society of the Holy Child Jesus) is especially devoted to the Incarnation, I lavishly highlighted and dog-eared books like her God’s Ecstasy: The Creation of a Self-Creating World (The Crossroad Publishing Company, 1997). It led to our first contact. indescribable reality that is GOD. May this GOD bless you always. Although we never met in person, our written exchanges continued for years. She told me about her husband, Jim Summerville (also a prolific writer), their move, their TV interests, her family…. Beatrice was always affirming and supportive as my endeavors expanded into a DVD (Wake to Wonderment), music, poetry, and group reflections. She wanted to know all about Sisters of Earth and the SHCJ EcoSpirituality Group and to get them better known. She invariably humbled me with her gratitude. I believe what Francois Mauriac wrote: “No love, no friendship can ever cross the path of our destiny without leaving some mark upon it forever.” How blessed I am to have had Beatrice mark my life! 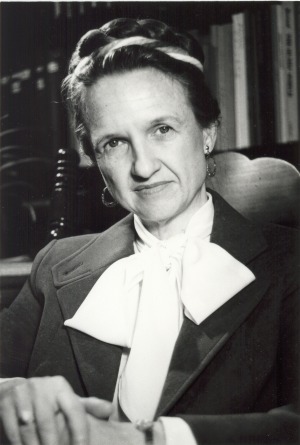 Beatrice was a luminary in the fields of theology, philosophy, contemplation, spiritual ecology, the writing of Teilhard de Chardin, Eastern faiths, developing and non-dual consciousness, feminism — and within each, exemplified her deep gift of opening up new lines of thought and praxis. Her writing demanded attentive reading and pondering. 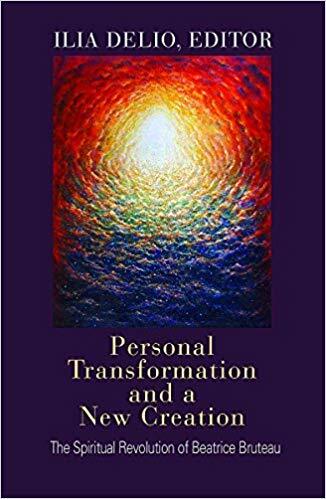 I am currently reading a tribute to her that I highly recommend: Personal Transformation and a New Creation: The Spiritual Revolution of Beatrice Bruteau, edited by Ilia Delio, OSF (Orbis, 2017). The three sections of this book include A Dynamic Person; Philosopher and Theologian; and Teacher, Mentor, Friend. The list of Beatrice’s writings at the end of Ilia’s book exceeds 10 pages, so I won’t attempt to list them! Whether familiar with her writings or new to them, you will profit from the both warm and scholarly reflections in this book. I also encourage you to sample Beatrice’s own books and articles. 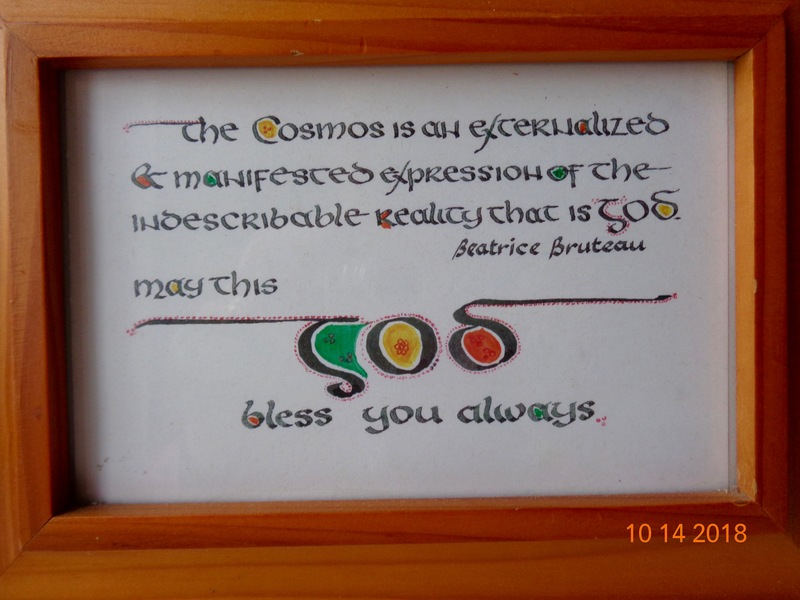 For those interested in ecospirituality, Beatrice’s writings are a must! So glad you liked it, Kay, and hope you gain as much from her writing (which, as I said, is demanding) as I did. I suspect you’ll gain even more! Have you had any chance to hear Ilia, who is now at Villanova? Blessings! Two Beautiful Women – Beatrice and YOU! I will check out her work. Thank you for continuing to bring sanity and gentleness into this remarkably insane time. What time we would have together these days! Such a challenge to keep hopeful, and I know you’d help me laugh! Wish I had met Beatrice, and grateful I met you! Love to you and Jobie. Good news! I’ll be at Haverford Estates as of June 3rd after driving from Chicago. Give me a few weeks to get settled. How fabulous to live near Longwood Gardens! What wonderful news! I am eager to meet you all!